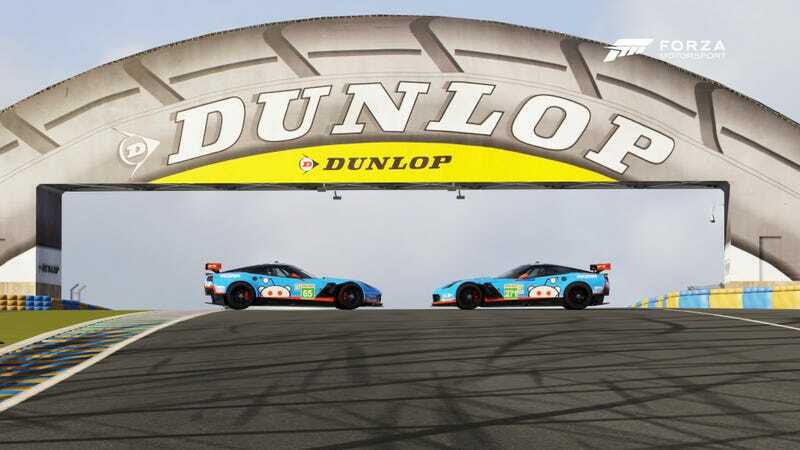 Members of the Oppositelock online racing community have joined up with the Reddit Online Racing Association to race in the TEC 24 Hours of Le Mans sanctioned and hosted by The Online Racing Association. With a Porsche 919 Hybrid and two Corvette C7.Rs, Oppositelock has five drivers among the three cars. In the #84 Porsche 919 is Corey CC97. In the #65 Corvette C7.R, TheCowmaster and Mr. Plankton. And in the self titled ‘Team Slow’ #271 Corvette C7.R, Viggen and SVTyler. The 24 hour event is divided up into twelve, two hour long, driver stints, with each driver taking an average of three stints over the race, which will race into the terrifying darkness of night on the Mulsanne Straight. Some of the event will likely be streamed by individual drivers, so be sure to check back if you’d like a link to watch! Most of the team is set to qualify tonight. The green flag is set to drop at 10:00 AM EST (1500 BST) on June 10. Wish our drivers luck!